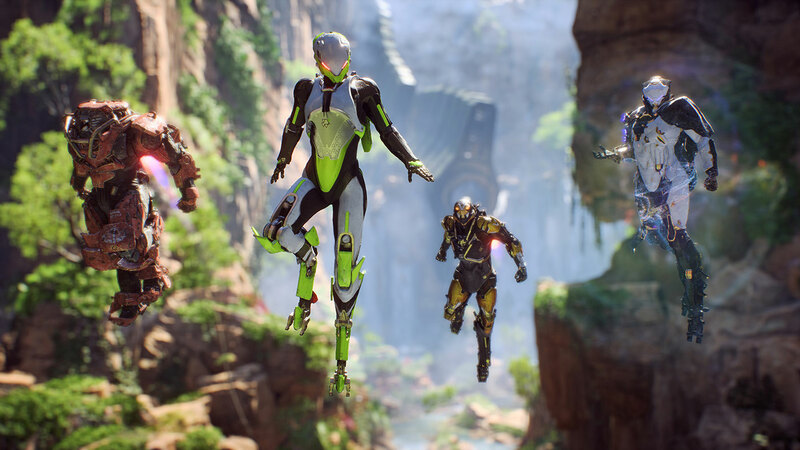 Bioware’s Anthem continues to receive a steady stream of updates courtesy of executive producer Mark Darrah on Twitter. Darrah recently answered questions about AI companions and what exactly the EA Play 2018 demo was running on. When quizzed about whether the demo was running on a GeForce GTX 1080 and whether it was in 4K/60 FPS, Darrah responded, “It was 2 [GeForce GTX ] 1080TIs. It was running at 4K/60.” Another interesting question was whether solo players would have AI companions joining them on missions. This doesn’t seem to be the case, sadly, so don’t expect a situation similar to Ghost Recon: Wildlands where three AI companions follow you everywhere while playing solo. Darrah did state in an earlier tweet that there would be matchmaking for everything. So if you want to partake in Strongholds or other Elder Game activities, there will be other players available. Finally, one user asked if it was possible to avoid looting certain items since drops would automatically be sent back to the Strider/Fort Tarsis at the end of sessions. Darrah said that this is currently planned for “items above a certain rarity tier”. This could mean that Common-tier weapons and equipment get left on the battlefield. If the drops aren’t all that significant after a point, it’s not a huge loss. Anthem will be releasing on February 22nd 2019 for Xbox One, PS4 and PC.